All retirement accounts delay taxes on your investment gains, creating a better annual return. 1. Which One Is Better: TSP or Roth IRA? 2. 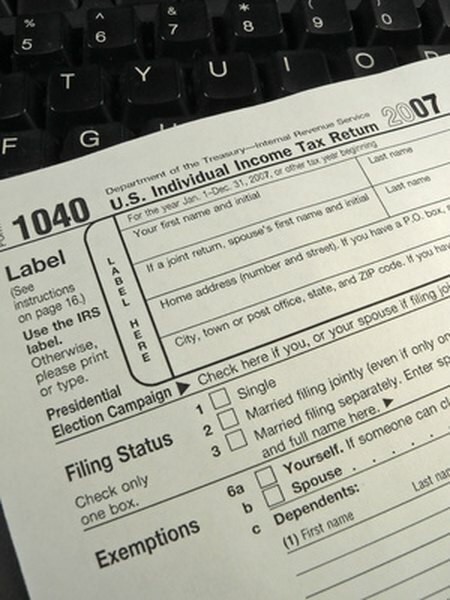 How Does an IRA Affect Tax Returns? To help Americans prepare for retirement, Congress created a number of tax breaks for retirement accounts. Each retirement plan has slightly different features, and your exact tax benefits depend on your income and the plan you use. However, all retirement plans help you cut down your tax bill while you put money away for the future. All retirement plans delay taxes on your investment gains. As long as your investments stay in a retirement plan, you don't need to pay taxes on their growth. If you kept your investments in a regular brokerage account, you would owe taxes on your gains each year, even if you kept reinvesting the proceeds. This creates a higher annual rate of return on your retirement savings, because you can keep reinvesting the money that would have gone to taxes otherwise. Some retirement plans offer a tax deduction on your contributions. The two most common plans that offer this feature are the 401(k) and the traditional individual retirement account. When you invest money in these plans, your investment is tax-deductible up to a certain annual limit. This lets you save for retirement while reducing your current income tax bill. In exchange, when you take money out of these plans in retirement, your entire withdrawal is taxable. These types of retirement plans are a good option if you expect your tax rate to be lower in retirement than it is today. Other retirement plans such as the Roth 401(k) and the Roth IRA don't offer a tax deduction on your contributions. Instead, these plans push your tax savings until retirement. When you take money out of these plans in retirement, your entire withdrawal is tax-free. This means you never have to pay taxes on your retirement gains. This tax break works well if you have a long time until retirement. The more time your investments have to grow, the more investment growth you'll receive completely tax-free. There is one more retirement-related tax break for lower-income households. If you are single and make less than $28,251 or are married and make less than $56,501, you are eligible for the retirement savings credit. This break gives you a credit for a percentage of your retirement savings up to $1,000. You can save up to $1,000 in taxes just for putting money aside for retirement. This credit applies to your contributions in all IRAs and most work-sponsored retirement plans.